SAN JACINTO, Calif. -- If you're missing a giant tortoise, you might want to give the San Jacinto Valley Animal Campus a call. The 200-pounder turned up along a road near Hemet Wednesday night. The giant tortoise is in good shape and is believed to belong to someone. It's currently being cared for at the San Jacinto Valley Animal Campus. 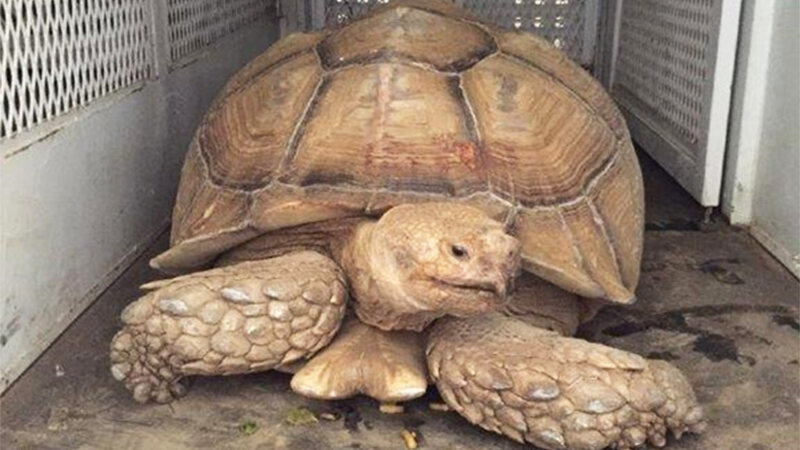 If you're the owner or have information on where the tortoise came from, you can give them a call at (951) 358-7387.